Express your adventurous side and explore the world in style. Our heirloom quality boots will last you a lifetime if cared for properly. - Durable tread and thick protective armor for your legs. 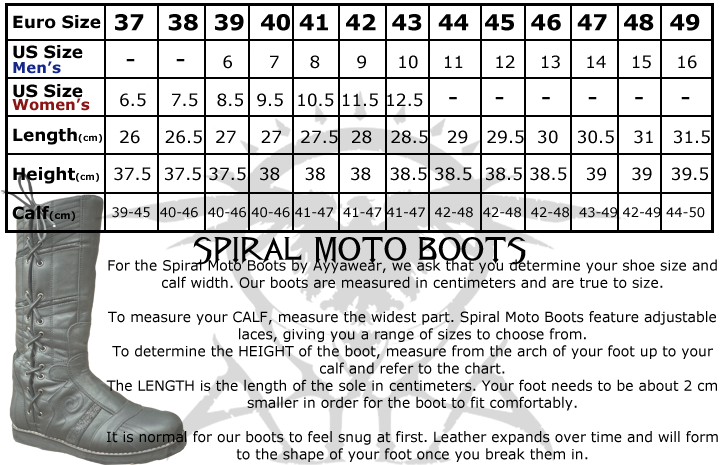 These make great motorcycle boots but they are flexible enough for the parkour runner. - Feeling fancy? Try them with a vintage three-piece suit. Feeling adventurous? Protect your legs from what nature has to offer in premium leather. - Durable battle tested zipper on inner calf for quick removal, laces on the outside. As the title says, they're beautifully crafted and look amazing. They held up great at a heavy metal concert, keep your feet warm with the right socks, and look great with the kilts sold on the sister site Verillas. I love how they hug your shins and I'm looking forward to applying some leather oil so I can try them out in the snow.